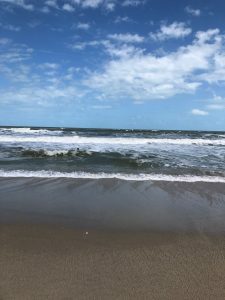 Pelican Rapids choir students enjoyed a range of sights, sounds and recreation on their tour to Florida — including a breathtaking view of the ocean at Melbourne Beach Resort, where they spent a day. 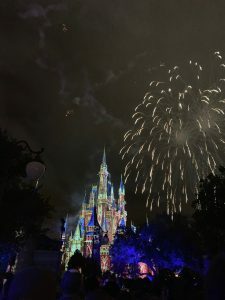 Joining the entourage of 31 students were 12 chaperones, who equally enjoyed the adventure. 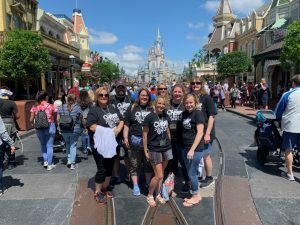 Choir director Lori Paakh led the singers on a variety of stops, plus an educational vocal clinic at Disney World Parks. 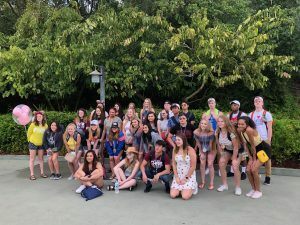 Pictured are a small group of parents and students at Disney. 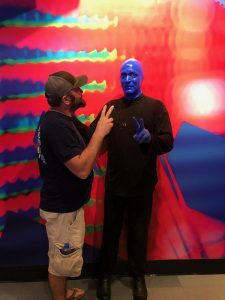 Chaperone Spencer Paulson had an opportunity to get close and personal with one of the “Blue Man Group” performers. The entourage especially enjoyed the performance of the famous troupe, Blue Man Group, noted Paakh. 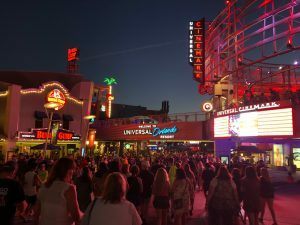 The city lights photo is at the Universal Studio Boardwalk.